Bright, zinc plated finish with a clear coat of lacquer. 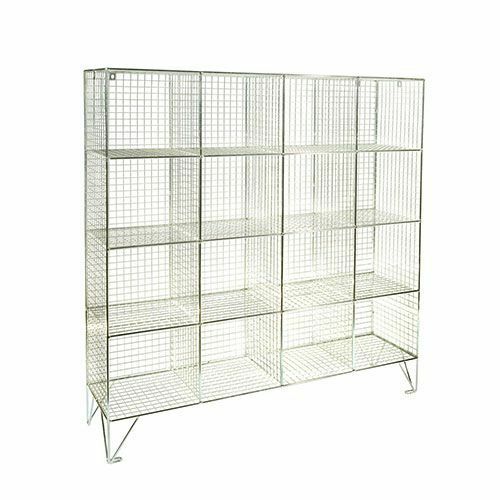 16 compartment, wire mesh locker unit. Manufactured from 25x25x2.5mm steel welded mesh on 8mm round bar frame. Supplied with 150mm integral legs that can be securely fixed to the floor. Supplied with 16 individual compartments.